The frame material of each and every window must be of the highest quality and to achieve this the processing and the finishing must be perfect. Companies including window manufacturers who prepare and manufacture in Germany are subject to stringent regulations and controls. As a consequence the prodction process is less susceptible to errors and defects. The window construction must be so designed that the window is assured of a long life. The window should possess a number of anti-burglary features. All functions must be reliable in every day usage, i.e. tilting and opening of a window must not lead to wear and tear or to a defect within a short period of time or to malfunction. Already at the purchasing stage any advice should be first class. Outstanding quality begins with the advice offered on ordering and finishes with installation. A definite symbol of quality is the seal of approval. 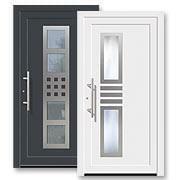 On ordering check carefully whether and which seals of approval are used by the window manufacturer of your choice. Independent institutes monitor the production and installation as well as that certain standards are observed. 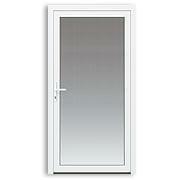 At fensterversand.com we also place great value on these quality criteria. We supply windows of the best quality and so we ensure that the production materials we use are of the highest quality and windows are produced on the most modern manufacturing equipment. Our windows are precision manufactured under stringent monitoring. Our fully-qualified and competent staff carefully check each individual step and are available to advise you by telephone. Our window production factory is continually developing and is always searching for new innovations and progress. Every single product which leaves our premises therefore undergoes stringent quality requirements. What is more, we can look back on over 140 years of experience. Then our Online shop is the public face to our parent company Neuffer in Stuttgart, which was founded in 1872. Consequently we have been the market leader in our sector in Swabia, south Germany, for many decades. We take customer satisfaction to heart and so we place great emphasis on correct and smooth working. 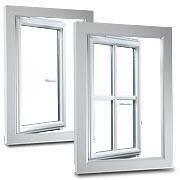 In order to ensure the quality of windows there are several procedures to establish this. The quality of burglar resistant windows is regularly checked using a sandsack. The sandsack in this case is designed to simulate a kick or a shoulder charge. The sandsack is hurled against the window pane. This test is designed to check the resilience of the glass bonding. Additionally a "manual attack" is carried out on the window. This manual attack simulates the attempted break in by a burglar using simple tools such as a screwdriver, pliers and a wedge to open a window. The test is carried out on two identical elements. First of all, a weak poin analysis is carried out on the first window to establish possible attack points to be used in the main test. The main testing is carried out on the second, undamaged, window. In the space of three minutes attempts are made to open this window concentrating on the points established in the first test. When checking the sealing properties of a window it is the combination and finishing of the window profile, seals and fittings that is decisive. Regular testing of the complete systems guarantees consistent quality. Efficient corner welding of sash and frame facing profiles requires a temperature of ca. 250C°. Daily manual temperature tests as well as PC-cnrolled temperature compensation is carried out. These, together with checks of the Teflon foil, guarantee optimum quality of corner welds. The test of the welding resilience of our PVC corner joints is subject to regular checks. Depending on the particular profile a corner must be able to withstand at least 6560 N pressure.